Happy weekend everyone! I'm so happy to share that I'll be participating in the newest Online Card Classes course, Clean & Simple Card Making 2! I've taken a few of the classes they've offered and they are so informative and fun! Tons of tips, videos, and inspiration. And did you know the class also offers student discounts for select vendors offering items on the class supply list? You know you've been wanting to try it! What are you waiting for? Online Card Classes is back with an all-new take on one of our most popular classes: Clean & Simple Card Making 2! Join Kristina Werner, Julie Ebersole, Jennifer McGuire and friends (including me!) 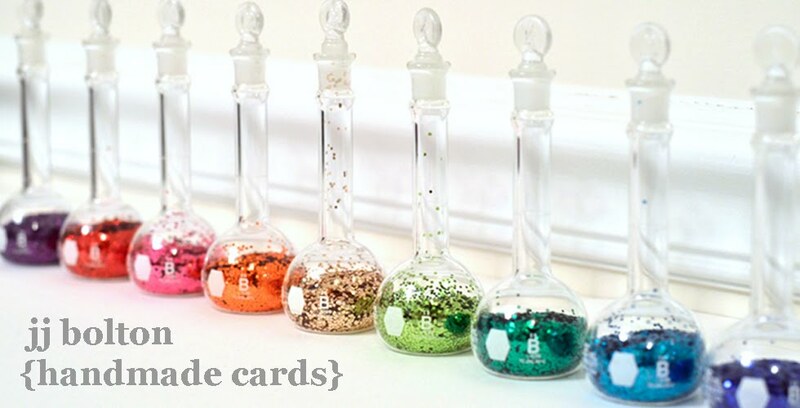 to discover the “secret” to minimalistic and fabulous cards. Learn new techniques and be inspired by 26+ videos and 34+ clever and creative card designs. Gather inspiration from your fellow students and Online Card Classes teachers in the forums and galleries. Then print out class PDFs to take Clean & Simple Card Making 2 with you wherever you go. Plus, with lifetime access, random giveaways and shopping discounts galore, you’ll be able to outfit your card making stash in clean and simple style. For more information on the class, check HERE. Jennifer and Kristina were kind enough to offer a free spot for me to giveaway! All you have to do is leave a comment on this post by Sunday the 20th at 11:59 pm EST, and I'll choose a winner on Monday! Just for fun let me know if you've ever taken an online class and what types of classes you'd be most interested it! sounds like a neat class - throw my name in the pool! I've never taken an online class but I would love to take this one with all those great teachers! I bet it's a great class, thanks for the chance! I've not taken an online class and feel like I have a lot to learn, I would love a chance to win a spot! How fun!!! I bet there is a lot to learn!! Thanks for the chance to win!!! Congrats!!!!! Sounds like so much fun!!!! I'm so glad you're part of the teaching staff JJ! I will be taking this class - whether I win a spot or not!! How exciting! Such talented ladies will be sharing their "how to" tips. This class sounds like so much fun. Would love to win a spot. I just love these type of classes. Tks for an opportunity to win a spot! Iʻd love to win a spot in this class! I'd love to win a spot, too! So excited to see you on the list! Thank you so much for the chance to win!! Such an inspiring list of teachers!! I've taken most of the Online Classes by Kristina & Jennifer and have loved each one. Lots of great info and ideas. Thanks for a chance to win a spot. So happy you're a guest artist for this class! Thanks for the chance to win a spot! So glad you are an instructor. I would love to win a spot in this class. Yay!!! Another chance to win - thank-you so much! This class would help me so much for sure. Thanks for a chance to win. What, you AND Laura?! That's just crazy. We'll know all your secrets!! I've taken several classes with Online Card Classes and loved each one. They are so inspirational. I would love a class on incorporating artist mediums such as gesso etc into card making. Thanks for a chance to win a spot in this awesome class! Thanks for the chance to win a spot in what sounds like a great class. I've never done a online class before, but I am interested in composition of CAS cards and masking techniques to get a clean and powerful image. Thanks for the chance! Aloha ! How nice of you to give away a spot in class. I have taken every "Online Card Classes" class, and have thoroughly enjoyed every single one. Can't wait for this one to start. Aloha, thanks for the chance to win a spot. I'm keeping my fingers crossed. Guuuuuuuurl, after seeing your work lately, I would be a FOOL not to want to be a part of this class!! ME, ME!!! PICK ME!!! This sounds intriguing! I'd love to be a part of this class! Thanks for the chance! I have taken 2 0r 3 online card classes, and just love them! I would love a chance to win! OMG, there are so many talented teachers in this class, including you JJ. Love your CAS style, and I'd love to learn some tips from you. Have taken an online class during the summer of 2011, and it was fabulous. Would be thrilled to win a spot in this class ~ thanks for the chance! This looks like afun one! I would LOVE to win a spot JJ, been wanting to try one of these OCC! BTW, is that picture of Cooper new, I don't remember seeing him before....I think it's kind of funny that the 'see my full profile' statement shows up under his photo...for a second I thought there was a link to more info about Cooper. hee! Sounds like an awesome class! I'd love to win a spot. I just recently found your blog and adore your cards! I would love to participate in this class, especially since my clean and simple cards could use some work ;) I've never taken an online card class, so I think this would be a fun experience! JJ I am so excited for you that you are taking part in this card class. I would love to check this one out and learn something from you. Thanks for the chance! I would SO love to take this class!!! Thank you, JJ! Thank YOU JJ for the chance to take this class! This class looks fantastic - thanks for the chance to win. I love online classes that include videos and PDFs. congratulations. sounds a great class. Thanks for the chance to win. Another great class. So glad to see you are involved. Thanks for the chance to win. I am happy for you and thanks for the chance. I would love to win this spot, this class rocks. Thanks for the chance. I'm so excited about this class! Thanks for a chance to win a spot! Congrats JJ!!! I've taken two classes from Online Card Classes and learned alot! Mahalos for the chance to win a spot! Thanks for the opportunity to win a free spot in this awesome class! I think the only on-line classes I've paid to take are Photoshop classes. I generally prefer live classes but this card class is definitely tempting me to branch out. I'd love to win a spot in the class! Sounds like a terrific class with some wonderful instructors! I've never taken an online class (yet!) but I am interested to learn more about using Copic markers and digital images! Love these online card classes, thanks for the chance to win a spot! I enjoy their classes--thanks for the chance to win. I've taken a couple of the Online Card classes and have absolutely enjoyed every minute of them. Would love to take another. JJ, so nice of you to ask to give away a spot in the simple cards 2. I love how beautiful they look, with minimum of effort. So happy you will be a guest designer in this wonderful class. I have taken several classes with Jennifer and each one is professional done. I would love to have another opportunity to learn more...thanks for the chance! I've taken a couple of classes at Two Peas - one on color, one on cardmaking that included design concepts, and one on mini books. I'd love this CAS class! Bruising my thumbs to win a spot.